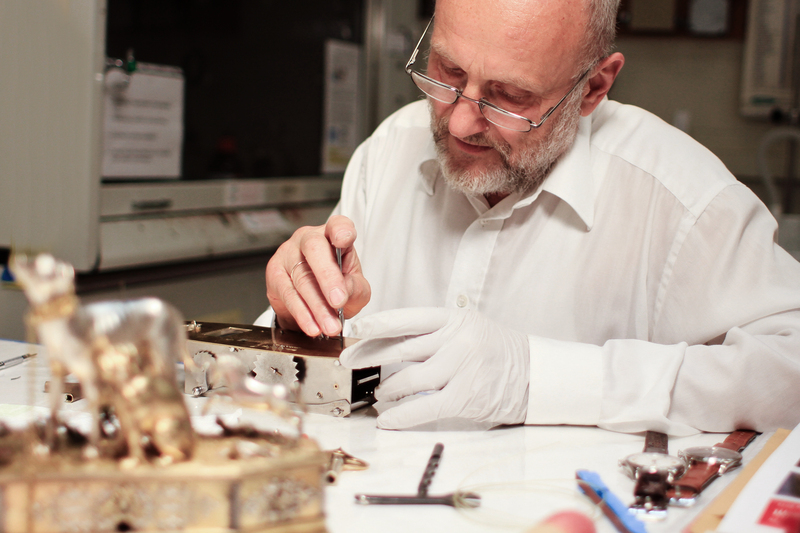 The talent of Mr Rolf Lang as a certified restorer is much in demand. In January of 2014, Ms Susanne Gänsicke, the preserver from the Museum of Fine Arts in Boston, contacted Rolf Lang Dresden. The reason was well-known to Mr Lang – an exhibit dated XVII century, which he had been working on as a restorer back in 1984. 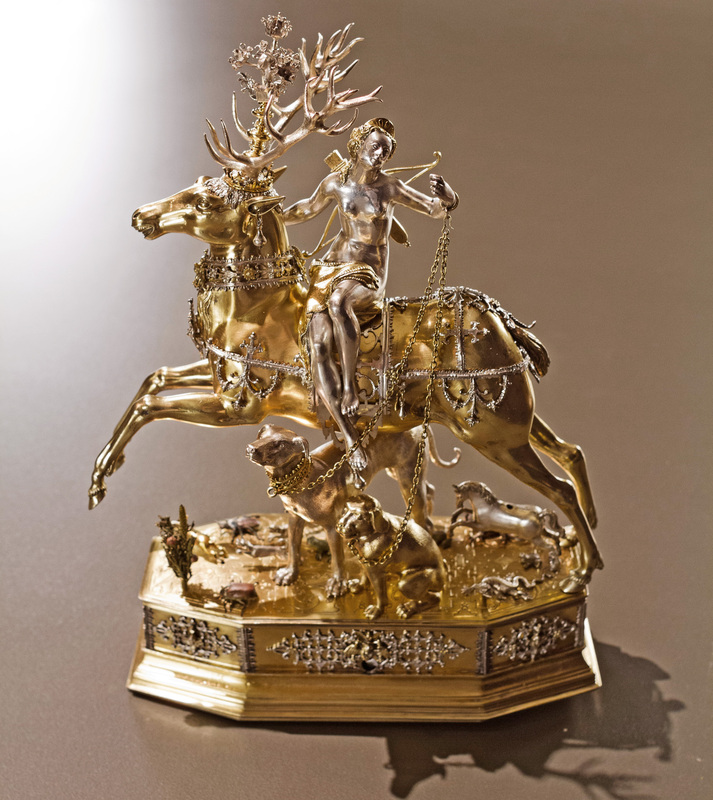 The automated figure of goddess of the hunt Diana astride a stag (the Diana and Stag), presented as an automaton, had to be restored before the new exhibition of curiosities’ opening. 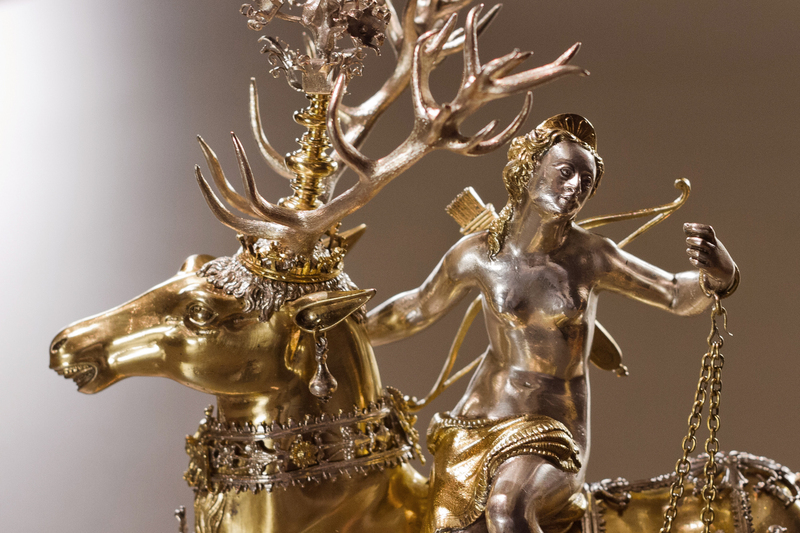 The purpose was not only to restore the Diana and Stag, but also to bring its automation back to life. 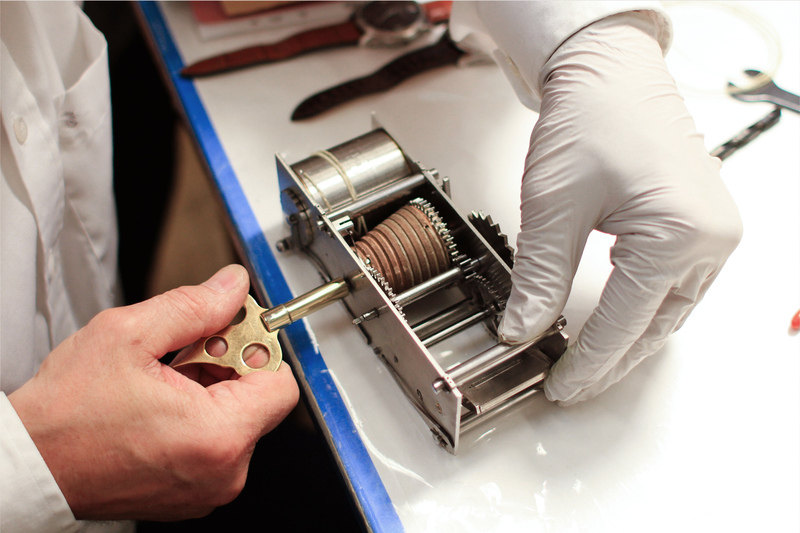 Unlike the richly decorated case made in the technique of fire-gilding and practically untouched by time, the mechanical core (the motor) of the Diana and Stag was in extremely poor condition after the heavy bombardment of 1945. The old drawings based on restoration, made by Mr Rolf Lang, who had been analysing the mechanism, attracted the restorers’ attention. 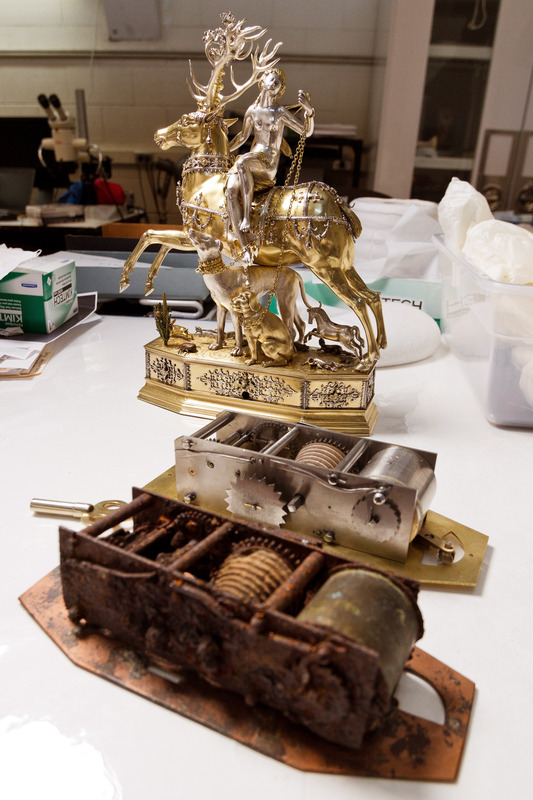 After the successful finishing of the original restoration, the motor was brought back to the Museum of Fine Arts in Boston on May 12th, 2014 to be built into the Diana and Stag case.